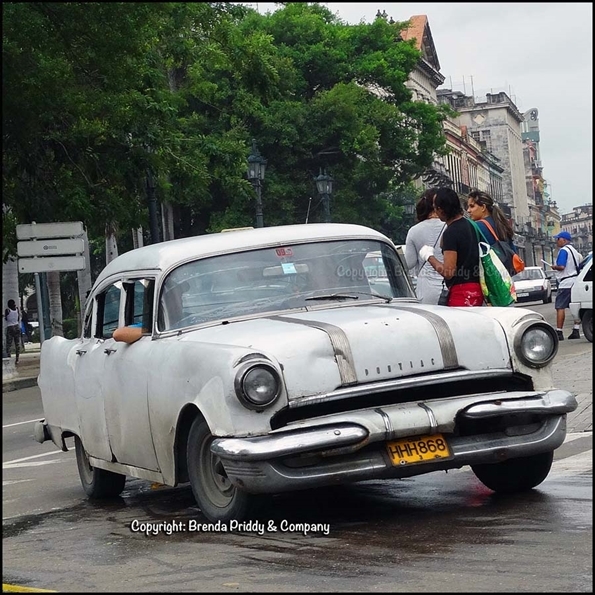 Car Museum: You don’t have to go undercover to join Spy Photographer Brenda Priddy, on a tour of Cuba and a cross section of its estimated 60,000 vintage cars this October. It is U.S. Government-approved, week-long trip accompanied by an Earthbound Expeditions program director and a bilingual Cuban national guide. It includes one night in Miami, two nights in Colonial Trinidad and five nights in Havana. A highlight of the trip will be interaction with members of “A lo Cubano” a Cuba classic & historic car club–one of the most important and active car clubs in Cuba with excellent cars and owners. For more information check out: http://www.earthboundexpeditions.com/october-2014-cuba-with-brenda-priddy/. Or, you can call 1-800-723-8454. With the Formula One season underway, Peter Aylett reminds that his Car Art, Inc. Grand Prix Gallery has more than 200 cars representing 25 different teams from 1906 to 2010. Contact info@carart.us. . . . And not to be overlooked, David Bull tells AWCom, and as many others as he can, that he has an array of Formula One books on hand, including Hunt vs. Lauda: 1967, A Year of Living Dangerously and Postcards From Detroit. Contact him at: sales@bullpublishing.com or 1-800-831-158. . . . . It may have nothing to do with weed now being legal in Colorado but Jay Lamm has added an early September race in Denver to this year ‘24 Hours of LeMons race schedule. . . . Apple has applied for patents on a device to monitor a wearer’s psychological as well as physical well-being. For a startling description of the capabilities projected for this device, check Steve Smith’s Media Post MoBlog: Targeting Moods: Apple Proposes Next Generation Of Psycho-Physical-Behavioral Profiling. One use not mentioned could be, when this mind and mood reading device is coupled with Apple’s recently introduced CarPlay: a “kill switch” that activates when a car’s driver is inebriated or in the grip of road rage. Everyday Driver’s feature-length documentary “50 Years of the 911” is being shown on Velocity Channel at regular intervals. Produced in celebration of the Porsche 911’s 50-year anniversary, the film is a one-of-a-kind retrospective on Porsche’s automotive icon. Co-hosts Paul and Todd drive and review eight separate 911 models, tracing the changes and experiences of one of the world’s best-known sports cars.